Ageing is the biggest risk factor for dementia. While there is no changing that we will age, there are lots of things you can do to reduce your risk. My Aunt on my Mum’s side suffered from it. I remember her from my childhood as a vibrant woman. A force of nature; caring and demonstrative. Loudly demanding that you give her a proper hug. I don’t remember visiting her when she was ill, but I remember how distressed my Mum was that her sister failed to recognise her. My Mum is 92 and doing well. And I think mid-life (age 40-64) is a great time to start making healthy choices. But I am sure many of us are already doing so. Many life events happen in this period. Children move out; health scares occur, divorces happen, and menopause starts. For many, these act as a prompt to start living a healthier life. The key to adopting a healthier lifestyle is to build it into your normal daily routine. Get your friends and family to support you – or better yet, join you. A person’s risk of developing a disease or condition is the chance that it will affect them over a certain period. We are all at some level of risk of developing dementia, but some of us have a higher or lower risk than others. For example, a typical 80-year-old woman is much more likely to develop dementia in the next five years than a typical 30-year-old woman. A risk factor is anything that increases a person’s risk of developing a condition. For dementia, there is a mixture of factors. Some are under our control and others that are difficult to avoid. Having any of the risk factors does not mean a person will develop dementia in the future. Likewise, avoiding risk factors does not guarantee that a person will stay healthy, but it does make this more likely. Age is the strongest known risk factor for dementia. It is possible to develop dementia before the age of 65 (at least 1 in 20 people develop it under 65). But the chances of developing dementia rise as we get older. From 65, a person’s risk doubles roughly every five years. 1 out of 100 people aged 60–64 will have dementia. 3 out of 100 people aged 70–74 will have dementia. 11 out of 100 people aged 80–84 will have dementia. 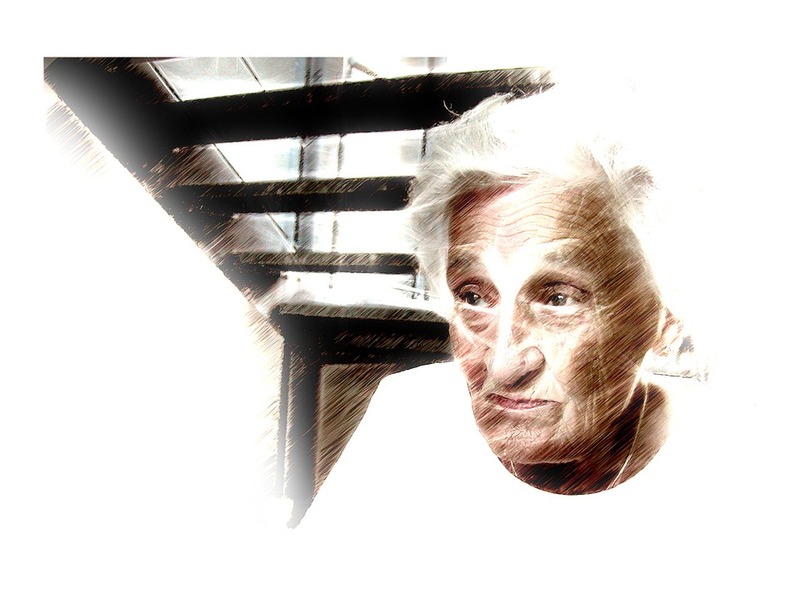 30 out of 100 people aged 90–94 will have dementia. Women are more likely to develop Alzheimer’s disease than men. This is the case even if we allow for the fact that women on average live longer. The reasons for this are still unclear. It is suggested that Alzheimer’s disease in women is linked to a lack of the hormone oestrogen after the menopause. Experiments with hormone replacement therapy (HRT) fail to reduce the risk of developing Alzheimer’s. For most dementias other than Alzheimer’s disease, men and women have much the same risk. But for vascular dementia, men are actually at slightly higher risk than women. This is because men are more prone to stroke and heart disease, which can cause vascular and mixed dementia. There is some evidence that people from certain ethnic communities are at higher risk of dementia than others. Some people at a higher risk of stroke, heart disease and diabetes are also at a higher dementia risk. These effects are probably down to a mix of differences in diet, smoking, exercise and genes. Scientists have known for some time that the genes we inherit from our parents affect whether we develop certain diseases. The role of genes in the development of dementia is not yet fully understood. Researchers identified more than 20 genes that do not directly cause dementia but affect a person’s risk of developing it. Having a close relative (parent or sibling) with it increases your chances of developing the disease very slightly compared to someone with no family history. Even with a family history, it does not mean that dementia is inevitable for you. Based on the latest research, here are the top tips to reduce your risk of dementia. Your risk will be lowest if you adopt a ‘more the merrier’ approach. The more you adopt, the less risk you will have. Get physically active five times a week for at least 30 minutes. When we say active we mean you will need to be active enough to raise your heart rate and get of breath. You can walk, cycle, swim or join an exercise or dance group. Regular physical exercise is also good for your heart and mental wellbeing. Exercise like this brings health benefits even if you’re not losing weight. If you don’t smoke, there is never a good time to start. And if you already smoke, now is a great time to stop. By smoking, you are at a greater risk of developing dementia and harming your lungs, heart and circulation. If you want to stop smoking but struggle try talking to your GP. They can provide help and advice about quitting smoking. A good diet has a high proportion of oily fish, fruit, vegetables, unrefined cereals and olive oil, and low levels of red meat and sugar. Diets like this reduce your risk of dementia and heart disease, stroke and type 2 diabetes. Try to cut down on saturated fats (e.g. cakes, biscuits and most cheeses) and limit sugary treats. Keep an eye on your salt intake too. Salt raises your blood pressure and risk of stroke. I suggest that you read food labels to see what’s in them. When possible seek out healthier options. Keep your alcohol within recommended limits. The recommendation is to consume a maximum of 14 units per week for men and women. These 14 units should be spread over 3 or more days. This is the same as four or five large glasses of wine or seven pints of beer. Regularly exceeding these weekly limits increases your dementia risk. If you find yourself struggling to cut down what you drink, talk to your GP about what support is available. If you’re invited for a regular mid-life health check at the doctor’s, make sure you go. My GP does a ‘well man’ check. It is like a ‘MOT’ for your body and will include a check of your blood pressure, weight and maybe cholesterol level. These are all linked to dementia and conditions that are strong risk factors for dementia (heart disease, stroke and diabetes). If you’re already living with one of these long-term conditions, follow professional advice about medicines and lifestyle. Keeping to a healthy weight will reduce your risk of type 2 diabetes, stroke and heart disease and probably of dementia. A good place to start is to follow the advice on exercise and diet. If you are struggling to get back to healthy eating this may help. Keep a diary of your food intake and exercise for each day, and remember that alcohol contains hidden calories. Joining a local weight loss group may help if you struggle to stick to a healthy weight. However, if you’ve tried to make changes without success, then your GP can also offer advice. Give your brain a daily workout. And that workout should be vigorous. Simpler mental activities such as reading, word searches or crosswords don’t have the same benefits as more challenging ones. Learning something new, maybe a new and difficult card game, martial art or another language is great. If you can keep your mind active, you are likely to reduce your risk of dementia. There is a bit less evidence, but keeping socially engaged and having a good social network may also reduce your dementia risk. Visit people or have them visit you, join a club or volunteer. What tips do you have to avoid dementia? Prev What Is The Cost Of Not Taking Your Medication?